The 960-3 Automatic Strike Jamb Router with a fast operator can machine up to 5 jambs per minute with a full lip strike routing pattern. 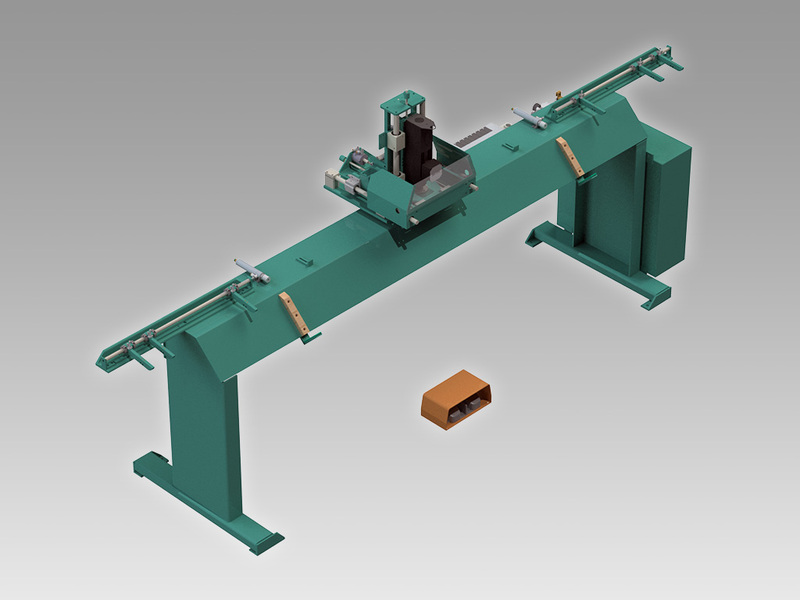 The machine features a fully automatic cycle from clamp-up to ejection. It is equipped with a 3¼ HP 120 volt router. Many customers get addon options for pushbutton changeover to T-strike routing pattern and end drilling units for sills or head jamb screws. Router movements are fully automatic using a rectangular pattern for the faceplate before moving in to route the deeper latch hole. Both flat jambs with stop as well as split jambs can be accommodated.